Scoliosis is a sideways curve of the spine that causes stiffness and pain. People with scoliosis have a sideways curve in their spine that makes an “S” or “C” shape. Scoliosis is derived from the Greek term meaning curvature. People with scoliosis have a sideways curve in their spine that makes an “S” or “C” shape. The vertebrae can rotate at the thoracic level of the spine causing this curve and resulting in a hump near the rib cage. If the curve is more than 60 degrees it is considered serious. Usually this curve makes the waist or shoulders uneven. And unlike the normal curvature of the spine, adjusting your posture will not correct the problem. Chiropractic care can help improve this condition. 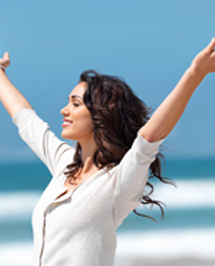 We look at your overall health examining your spine as well as other factors of your lifestyle. To help identify the problem’s cause, we will discuss symptoms and previous injuries, your family’s health history, and recreational and work-related activities. Most exams for scoliosis include the Adam’s Forward Bending Test and have been adopted by many schools, whereas they test for this in physical education classes. It requires the person to bend at the waist as someone views the spinal alignment. If there is an abnormal prominence or hump we can help you. We will measure the length of the legs to determine unevenness. We also perform a range of motion test that measures the degree to which the patient has mobility at the waist. 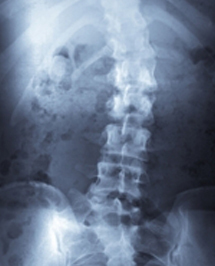 If needed, we will refer you to a specialist for further scoliosis treatment. Although most chiropractors don’t directly treat Osteoporosis, chiropractic care directly addresses spinal misalignments, which in turn directly impact proper functioning of the nerve system..